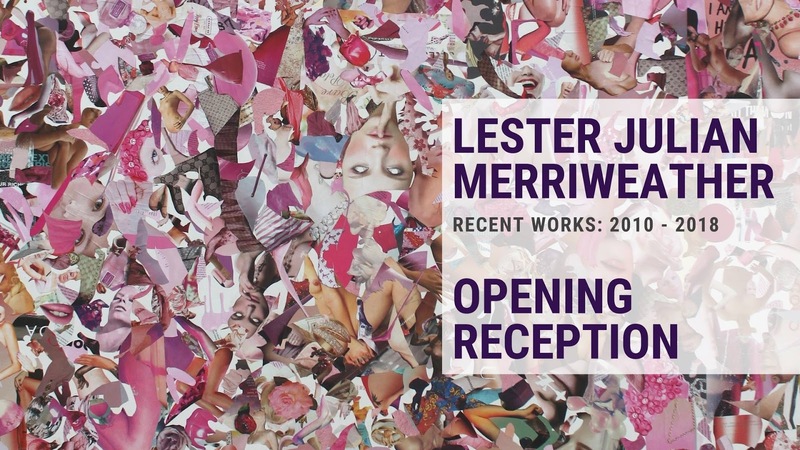 Lester Merriweather's collages use imagery from printed advertising material in fashion and lifestyle magazines. In re-contextualizing these images, Merriweather examines ads, media corporations and their practices of promoting notions of racial prominence, inclusion and exclusion. Lester Julian Merriweather (b.1978) is a Memphis-based visual artist. He attended the Skowhegan School of Painting & Sculpture. He holds an MFA from Memphis College of Art and a BA from Jackson State University. Merriweather has exhibited extensively throughout the U.S. at various venues such as the Studio Museum in Harlem, NYC, TOPS Gallery, Powerhouse Memphis, Diverseworks in Houston, Stella Jones Gallery in New Orleans, and the Atlanta Contemporary. He has also exhibited abroad at the Zacheta National Gallery in Warsaw, Poland. He recently served as the Curatorial Director of the Martha & Robert Fogelman Galleries of Contemporary Art at the University of Memphis and on the Board of Directors for Number, Inc. independent journal. He also served as a founding member of the ArtsMemphis Artist Advisory Council and the artsAccelerator Grant Panel. Merriweather is currently on the Advisory Panel for the CLVT. He is the Curatorial Consultant for the PPF Art Collection in Memphis, Tennessee.